Kelly Cajons are hand-made in Vernon BC, Canada by master carpenter Kelly Klassen and his son Jamie. 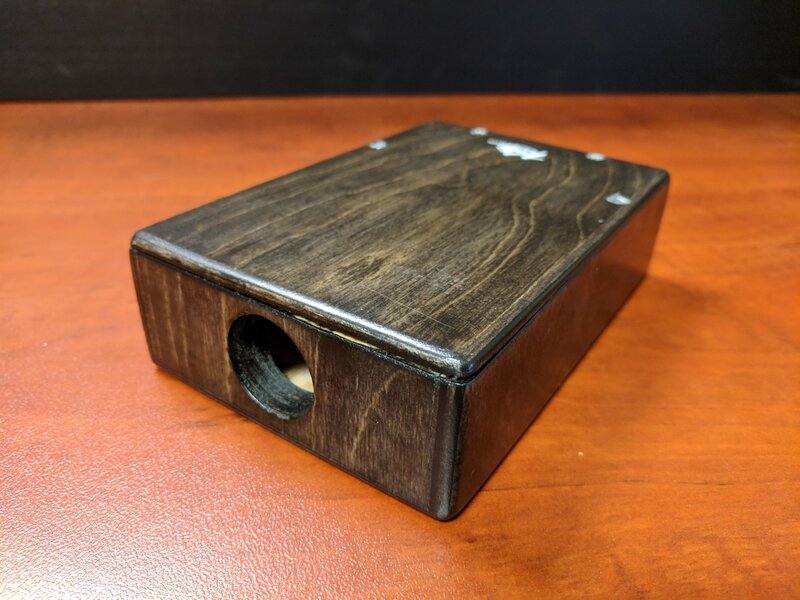 This miniature sized pocket cajon is made from extra pieces of wood left over from building larger cajons. Instead of tossing it, Kelly and his son Jamie decided to make another instrument! One side of the playing surface is screwed down, and the other side is slightly raised so that you can get a 'snap' or 'pop' out of it.